For your interest and for purchasing ​my very first​ ​Eco Print Calendar! ​This calendar contains a selection of my favorite eco prints from the past 2 years. I'm so happy to be able to share a part of my garden with you. Printer settings: For best results use a high quality setting. Paper: There are many paper stock options that will work well for printing this calendar. If you plan to have the calendar standing on an easel (my favorite way to display this size calendar) you'll want paper that's heavy enough so it it doesn't flop over. Most card stock, index paper and matte photo paper will be heavy enough and have a nice surface for printing from your home printer. Another option is to download the calendar to a flash drive and take it to an office supply store that advertises copy services. I tried this out for myself and went to Staples where they were extremely helpful in showing me what papers would work the best. I was offered four paper options: 110# card stock, Cougar matte card stock, Allure matte paper and a 12pt matte card stock. It printed beautifully on all four. You may not find these exact papers but I'm sure they can help guide you to something that will work just as well. Cutting: To display one month at a time you can cut the calendar pages in half to 5.5" x 8.5". If you prefer having 2 months showing at a time you can leave them uncut. ​How to display: On an easel, magnetic board, cork board, or anyway you choose. I'd love to see how you use and where you display your calendar. On FaceBook and Instagram you can tag me @kathyjohnsonart and/or use the hashtag #KJsEcoPrintCalendar so I can see your photos. 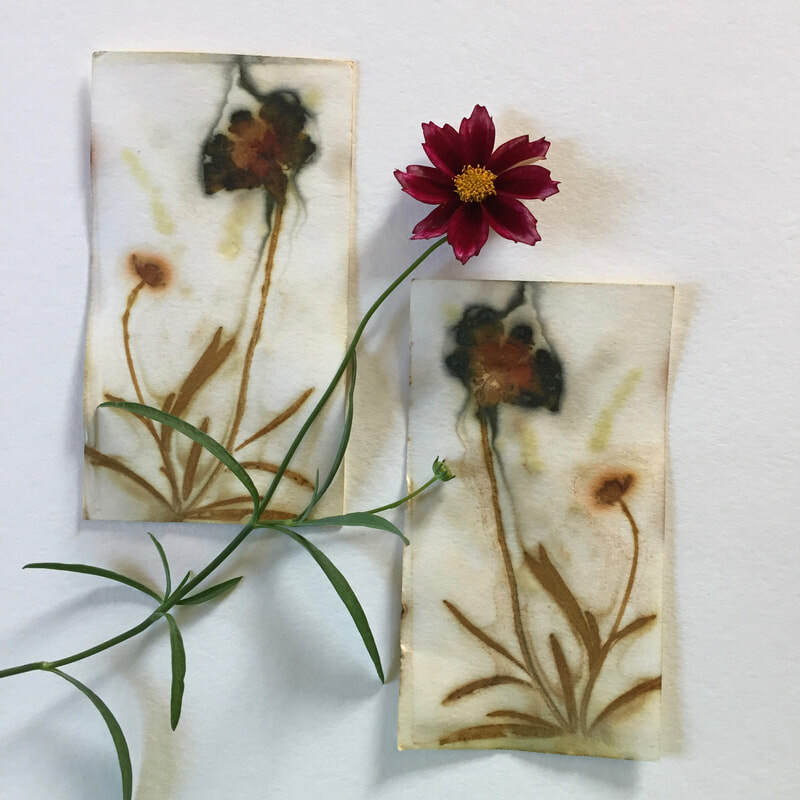 ​Are you interested in learning about the process of eco printing? Would you like to give it a try yourself ?